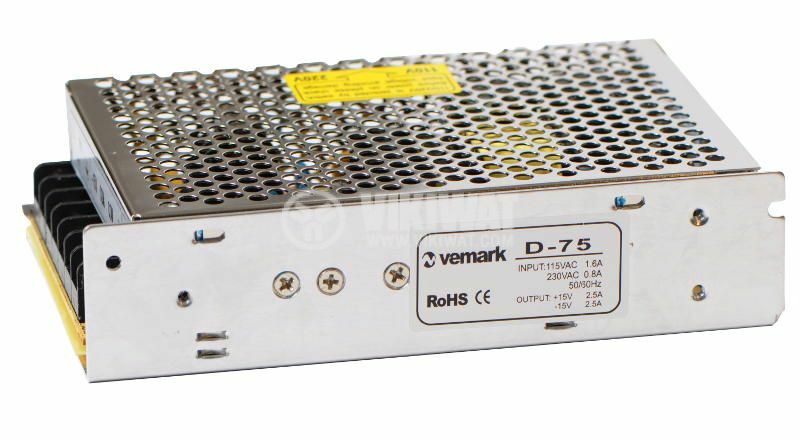 Power supply unit for general purpose applications with input voltage 115 VAC/230 VAC, outpuт voltages ±15 VDC, output currents 2 X 2.5 A and output power 75 W. The product possesses an EMI filter, surge and overload protection . 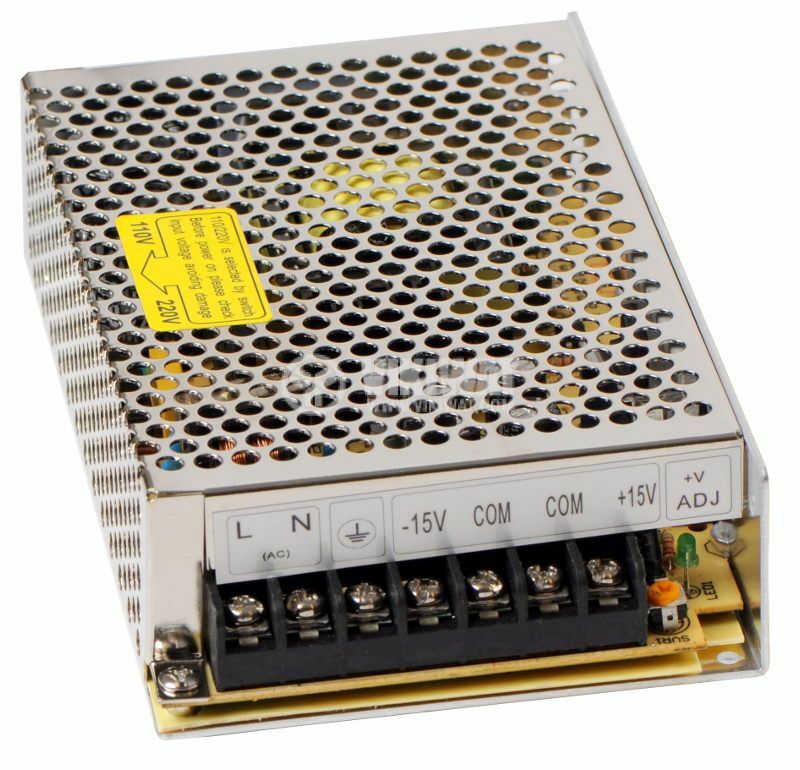 The input voltage (110 VAC or 220 VAC) can be selected by switch. corpus dimensions - 140 x 93 x 36 mm.